Toei announced more details on Monday for the the upcoming 20th Dragon Ball film, including the film's title and visual. The film's title is Dragon Ball Super: Broly. 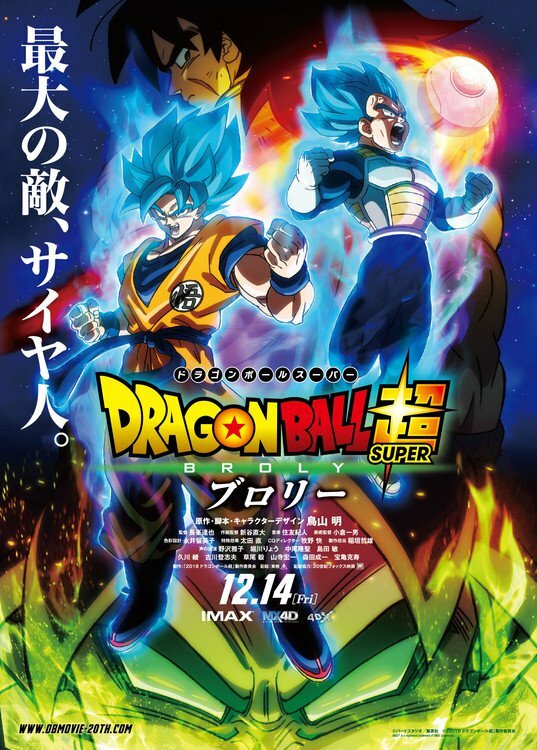 The below visual's tagline reads "The greatest enemy, Saiyan," and confirms the film will screen in IMAX, MX4D, and 4DX in Japan in addition to regular screenings. Original manga creator Akira Toriyama provided a new comment for the film: Everyone, do you know who Broly is? 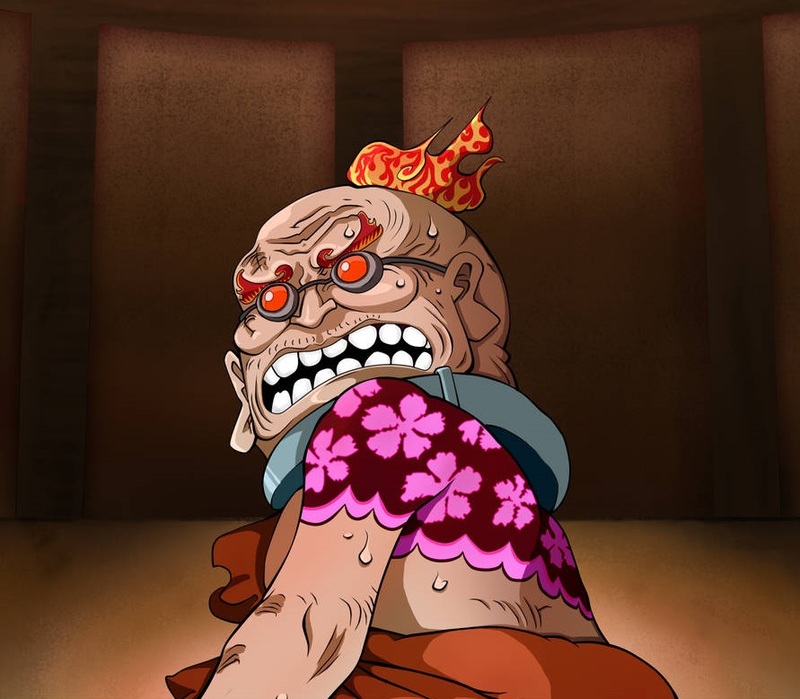 He appeared only in past anime films, and is a ridiculously strong Saiyan. I am told I only drew his design; at that time I was mostly uninvolved with the anime, and so I completely forgot the details. Even now it seems Broly is still very popular not just in Japan, but overseas as well, and because of that, the supervisors suggested, "Why don't we make the movie about Broly this time?" 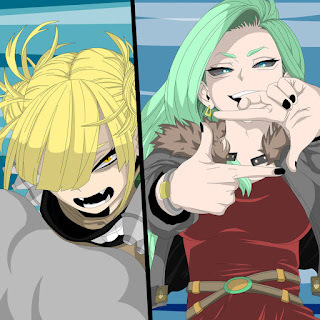 At that time I was shown the film, and I felt that it would become really interesting depending on how it's arranged, so we started talking immediately about including [Broly] into the Dragon Ball Super series. In order to not disappoint Broly fans, I was conscious of Broly's past image, while also giving him new aspects, and I think he ended up as a fascinating Broly. Of course, the film won't just show amazing battles it will also show what kind of fate Goku, Vegeta, and Broly will follow when they meet; how the Frieza Army is connected; and the history of the Saiyans the content of the film is dramatic and has a huge scale. That greatest Saiyan, Broly, appears! There will be lots of other content that will be included for all the fans, so please look forward to it and wait a little longer until it is complete!! Those who pre-order tickets for the film in Japan starting on July 20 will receive one of two charms for Goku and Vegeta. The charms change color based on the temperature, turning into Super Saiyan forms when hot, and turning into Super Saiyan Blue forms when cold. The bonus items are limited to 50,000. The images above feature Goku and Vegeta in winter gear, which previous issues of Shueisha's Weekly Shonen Jump and V Jump magazines revealed last month. Toriyama designed the outfits. The issues also teased the return of Frieza, and three new characters named Chirai, Remo, and Kikono, who are all aliens wearing armor. Chirai and Remo are also equipped with scouters. The film will open in Japan on December 14, and the film's staff is aiming for a global release on the same day. The film will star Masako Nozawa as Goku. Other voice cast members without announced roles include: Ryo Horikawa, Ryusei Nakao, Bin Shimada, Aya Hisakawa, Toshio Furukawa, Takeshi Kusao, Kouichi Yamadera, Masakazu Morita, and Katsuhisa Houki. Dragon Ball creator Akira Toriyama is writing the script and designing the characters. Tatsuya Nagamine (One Piece Film Z) is directing the film, Naohiro Shintani is serving as animation director, and Kazuo Ogura is serving as art director. Norihito Sumitomo is composing the music, Rumiko Nagai is the color designer, Naotake Oota is in charge of special effects, and Kai Makino is the CG director. Toei is distributing the film in collaboration with 20th Century Fox. Dragon Ball Super premiered in Japan in July 2015 on Fuji TV and other channels, and ended on March 25. Toriyama confirmed in his comments that the show is ending "for now." The FunimationNow, Crunchyroll, and AnimeLab streaming platforms all streamed the series with English subtitles, as episodes aired in Japan. Funimation's English dub of the anime premiered on Adult Swim's Toonami block on January 7, 2017. Funimation posted the first 39 dubbed episodes to its streaming service in December, and is launching additional 13-episode batches two weeks after the final episode of the batch airs on Toonami.